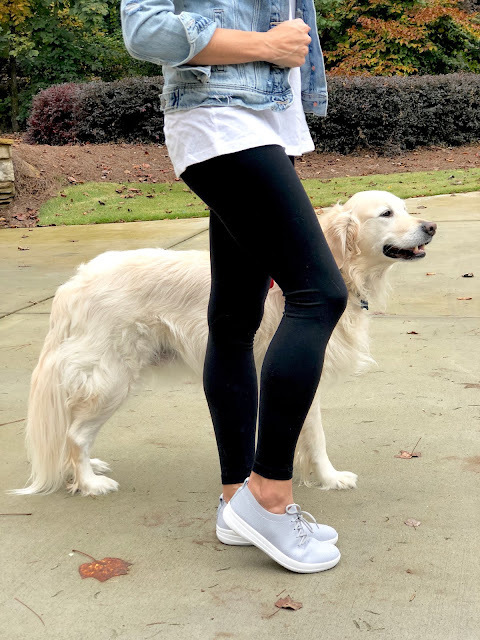 Magnolia Mamas : Fit Flop Giveaway!!! Happy Thanksgiving Week!!! We're so excited that our kids are off school all week long and we can't wait for Turkey Day. As we prep for the big occasion we are also keeping an eye out on all of the major sales coming up. Black Friday is almost here friends! Stay tuned for a HUGE Black Friday/Cyber Monday deal guide we have going live tomorrow. But some amazing deals have already started, and are just too good not to pass along early! 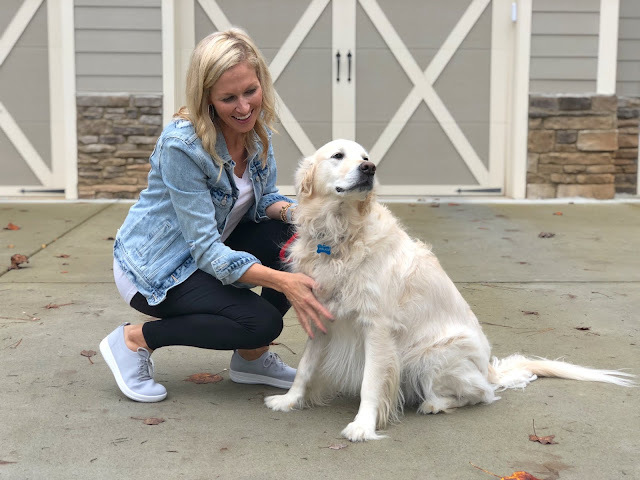 If you've followed along for any amount of time you know that we love FitFlop shoes and we are so excited to be partnering with them for a giveaway. The most exciting part is that we will be sharing the FitFlop love with not just one lucky reader, but instead we will be picking FIVE WINNERS!!! Yes, five of you will be picked to receive a $50 FitFlop gift card!!! We can hardly contain our excitement! Y'all these are the most stylish, most comfortable shoes ever! And as much as us moms are on our feet all day - you need these in your life! Their Black Friday sale has already started making tons of their styles up to 60% off. We did a little shopping during their Veteran's Day sale a few weeks ago, but Black Friday has us adding to cart like it's our job! We just can't help it - FitFlop shoes are just that good! 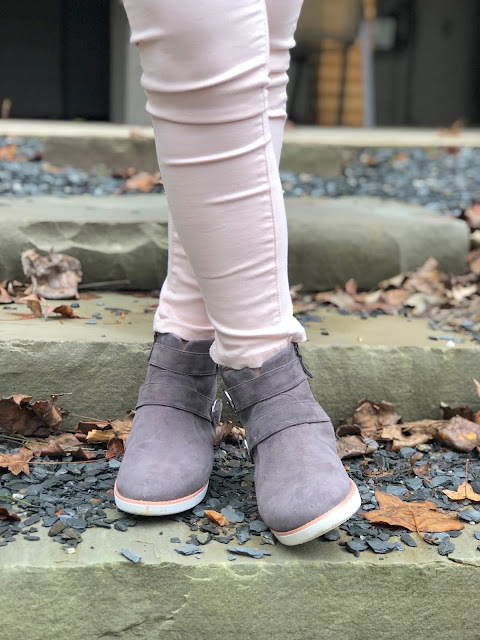 We fell in love with the FitFlop brand over the summer, but their sneaker and boots line during the Fall and upcoming winter is what has all our heart eyes lately. 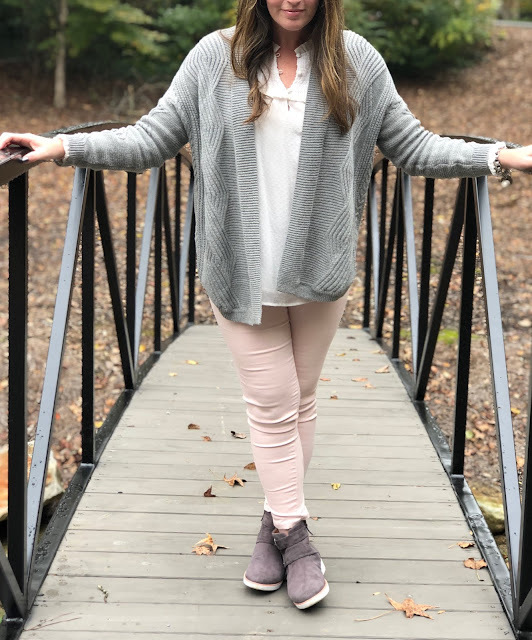 We love that they have so many great on trend styles to choose from! These F-Sporty sneakers are a wardrobe must! Not only are they super comfortable, but they are super trendy too. They are made of a lightweight woven knit and are a pull on style with elastic ties. This is the pearl color, but they come in a ton of color options - including a fun pink! They've been great for all day casual wear! 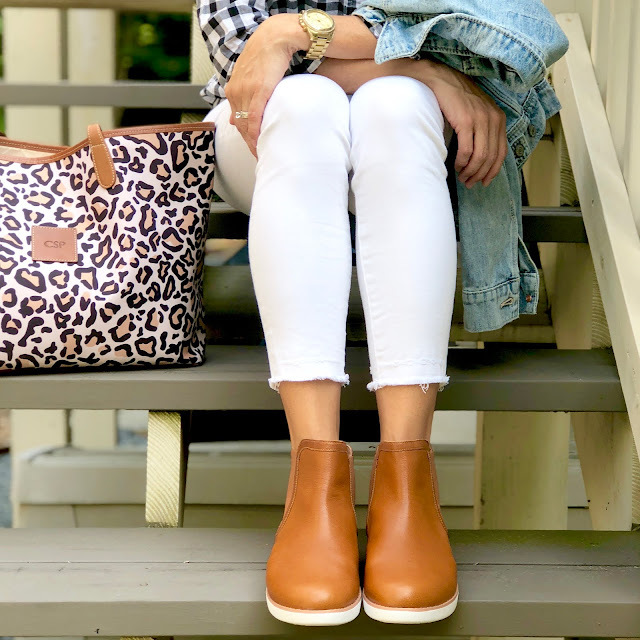 The Oona Buckle Suede Ankle Boots have been one of our favorite Fall purchases. They come in a variety of colors, and there is even a leather version, but this Steel Grey color we felt like would match so many things. They are the number one shoe we get stopped about when we are out and about. And unlike a lot of other boots or booties, we've been able to wear these all day and not once complain about them. They are beyond comfortable! And we've shared our love for these Alice Over the Knee Boots. 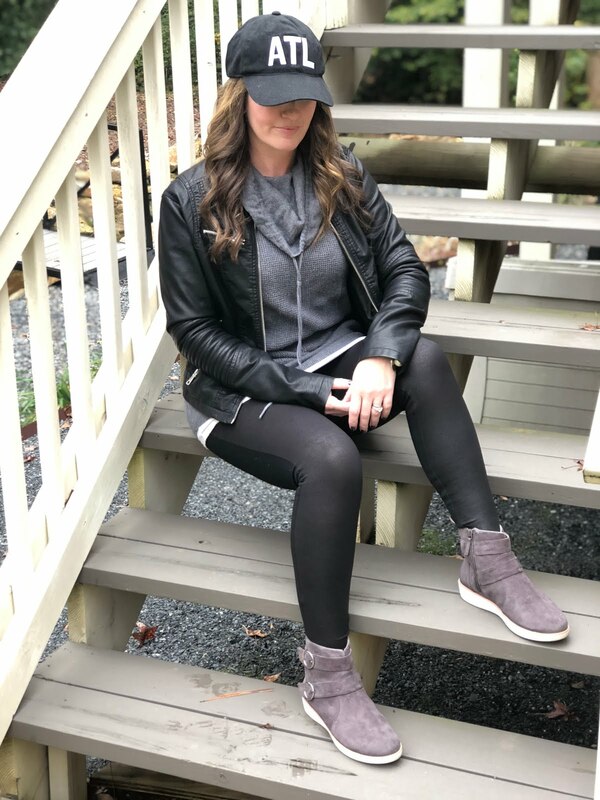 We weren't sure if we would like the over the knee boot trend, but considering how comfortable these are and how they make our legs look like they go on for days we are officially sold. 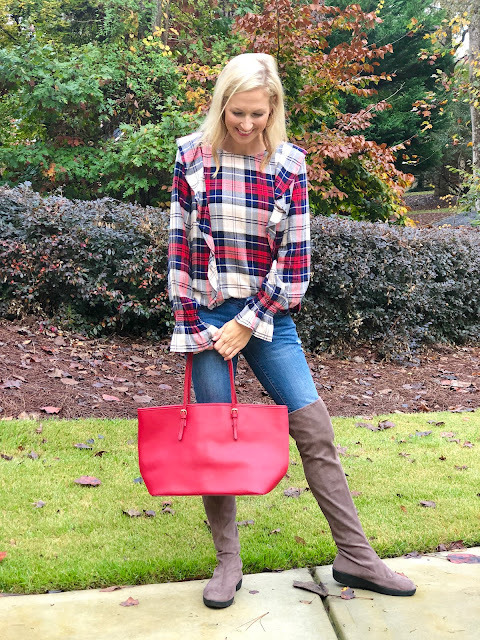 We love that they can be worn so many ways too! Definitely one of our better shoe purchases lately, and will be continue to be on repeat throughout the winter season for any and every event. Especially because we can get away with them and still be comfortable at all those holiday parties! And now for the fun part! Well...the second best part after the shoes of course. Enter to win one of five $50 Fit Flop Gift Cards. Enter below and/or head to Instagram and this post for another entry. Winners will be announced on Friday, November 23rd - just in time for you to shop the FitFlop Black Friday sale! Winner(s) will be chosen randomly and contacted via email. Winners will have 48 hours to claim prize or a new winner will be chosen. Good luck everyone! What pair of FitFlops will you spend your gift card on? I would buy the ÜBERKNIT Slip-On High-Top Sneaker!